Creative Nemo Mark 7. Materials: Brass, copper, solder, planer. 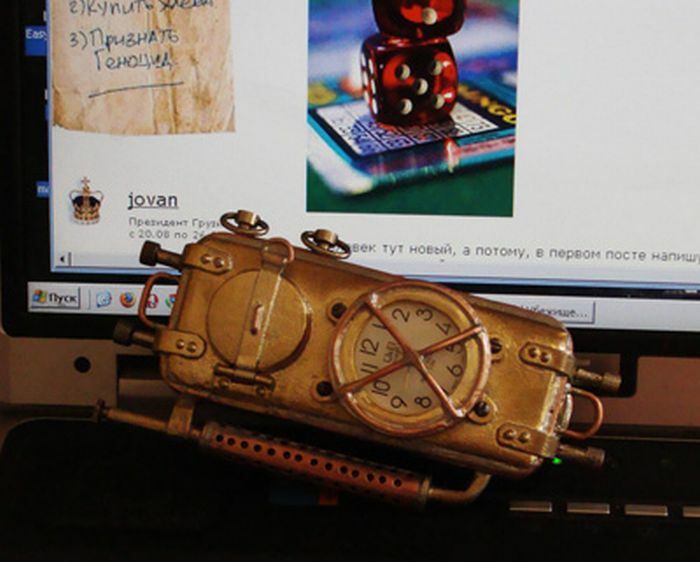 Buttons izgotovlkeny of bullets (balls) for airguns. Inside - the easiest phone LG. 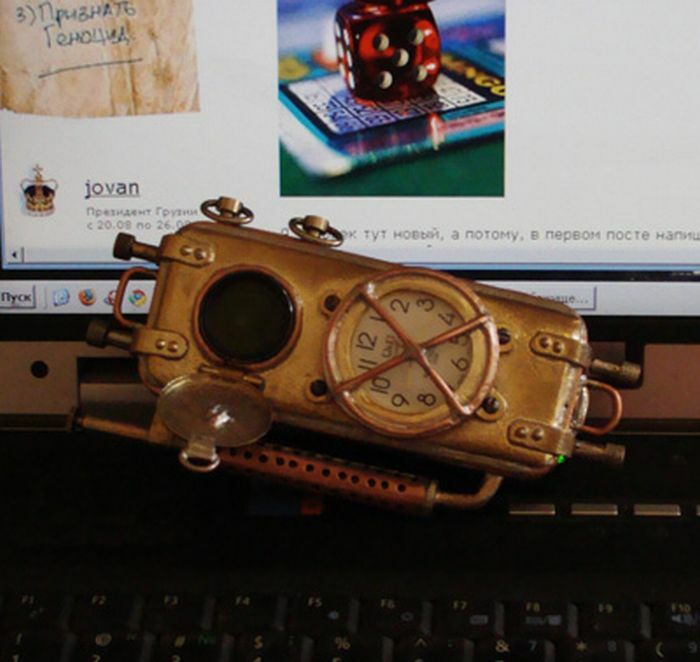 On the flip side - brand watches Q & Q, a green filter on the lens camera, the photos were obtained also in the style and tone. 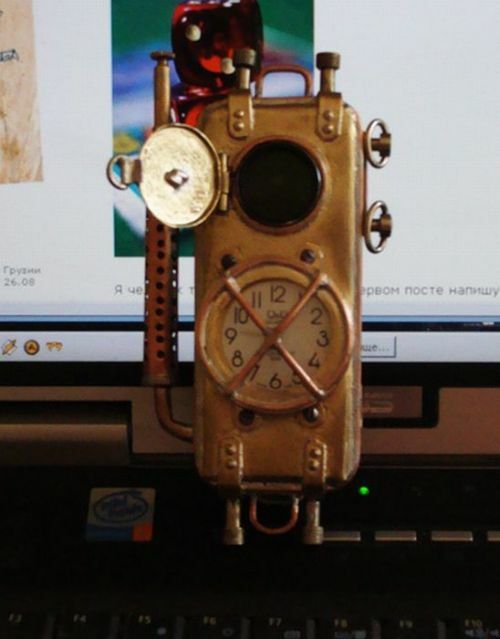 Used some elements from the old Soviet alarms - basically, it's different hardware. 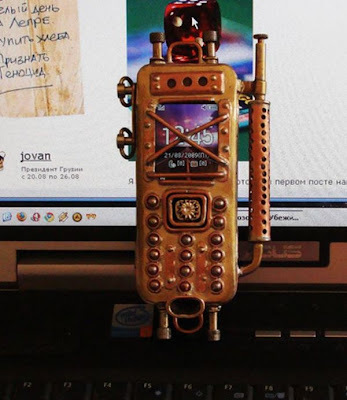 We love the creativity and innovation (retro-vation?) 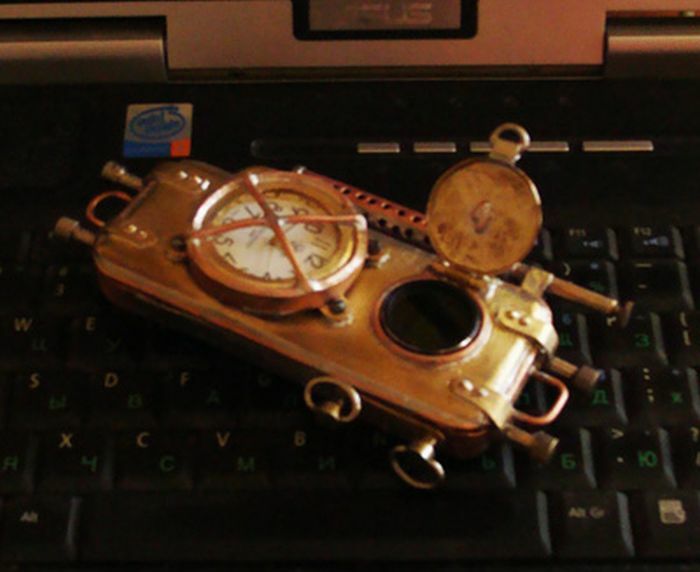 that comes from Steampunk modifications to modern technology. 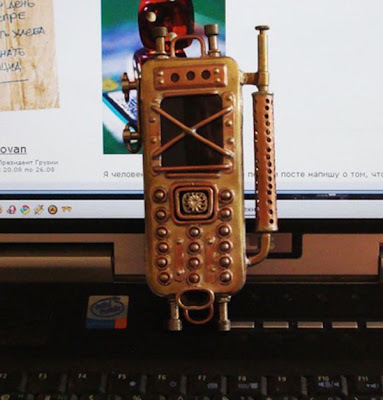 Some great ideas come from taking a completely new gadget and making it something that looks like, and in this case sort of works like, something from the 19th century. 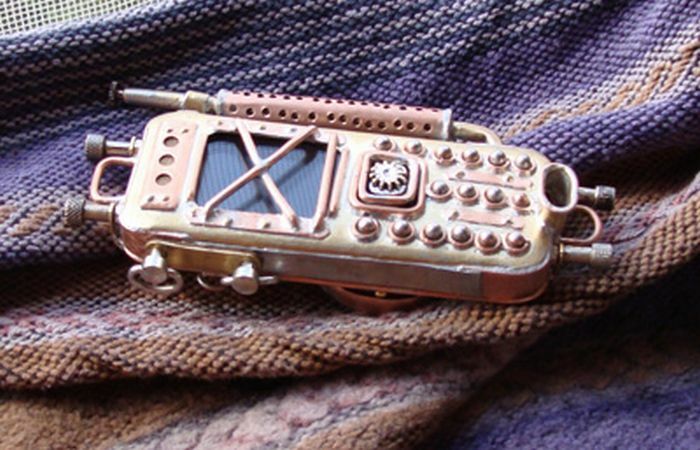 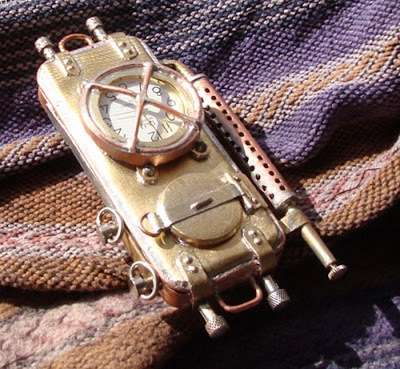 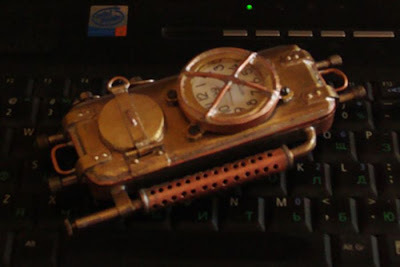 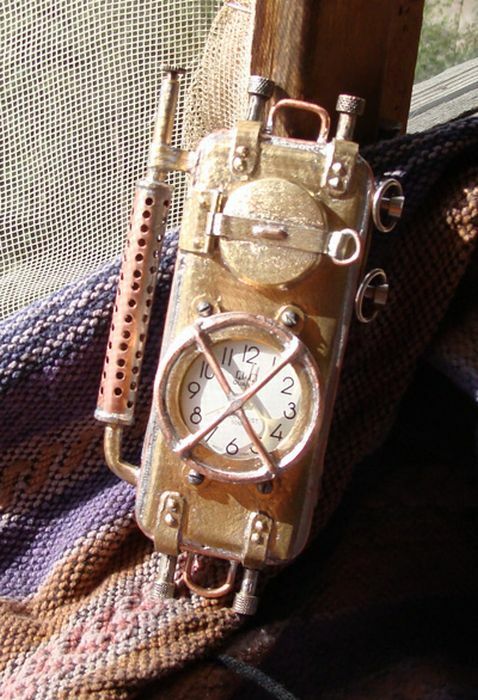 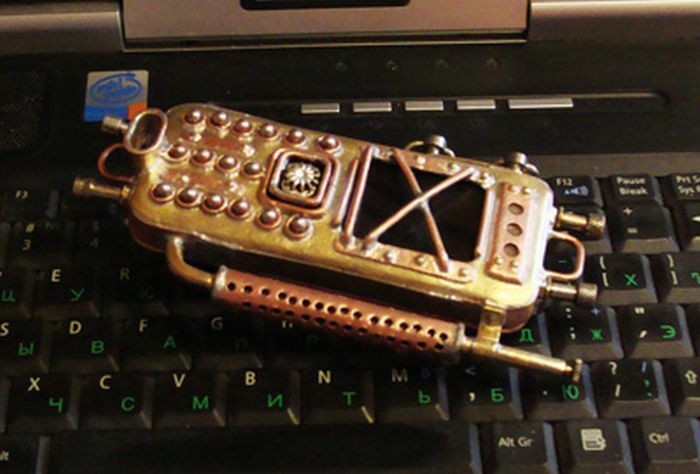 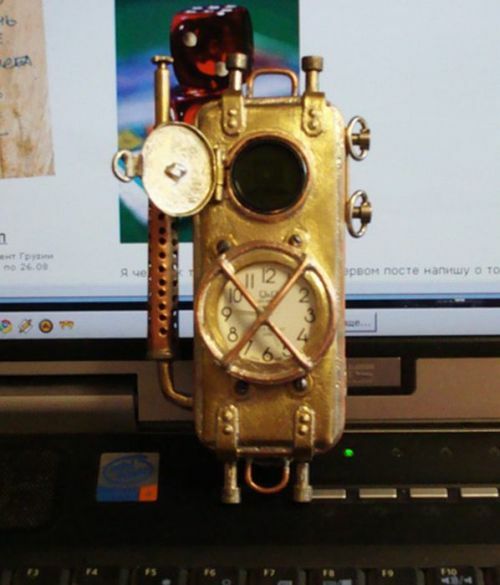 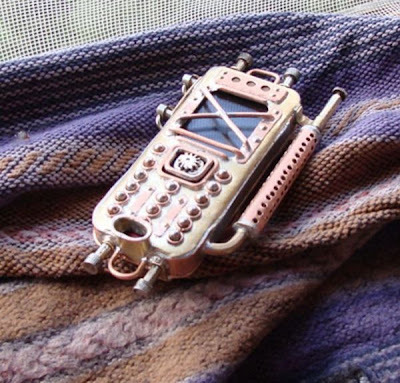 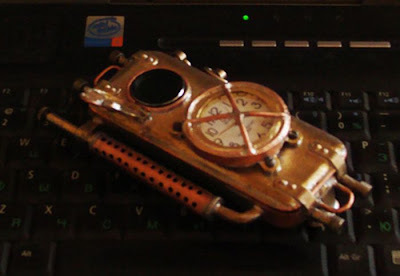 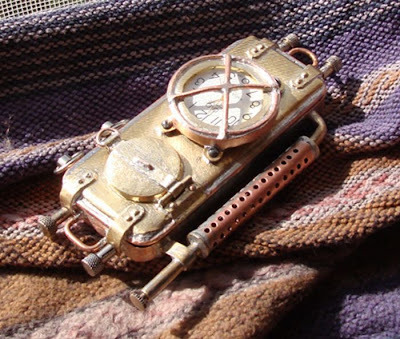 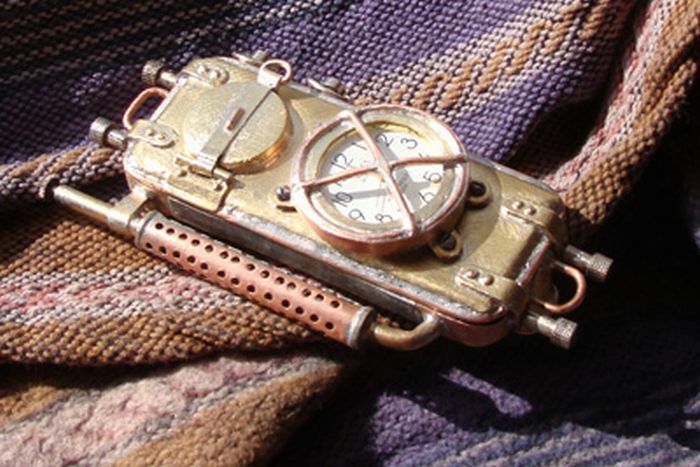 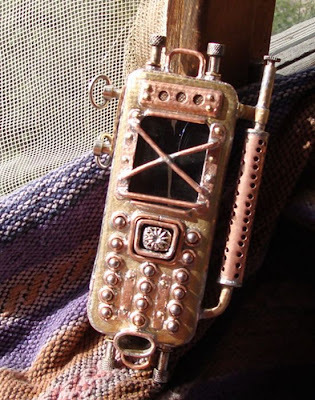 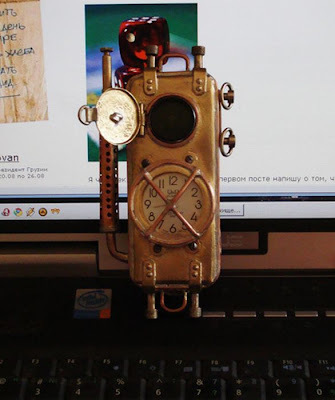 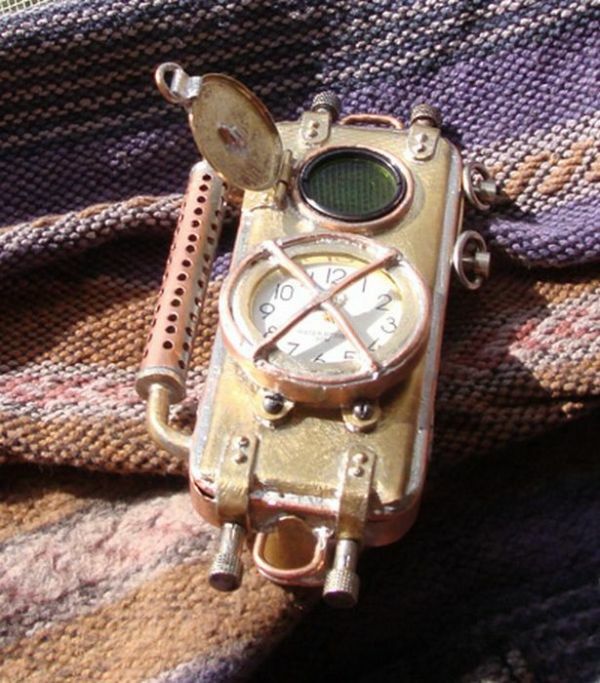 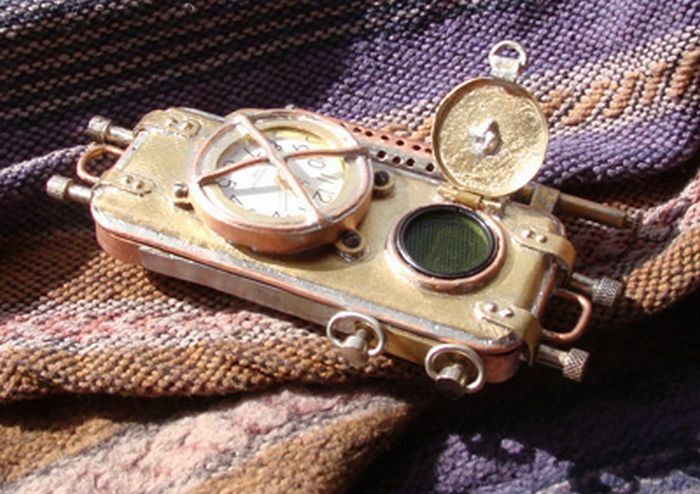 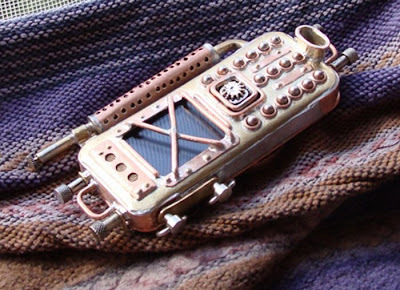 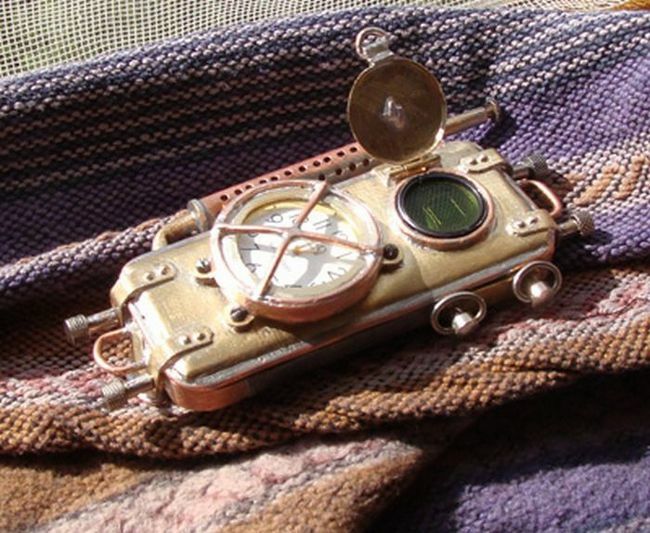 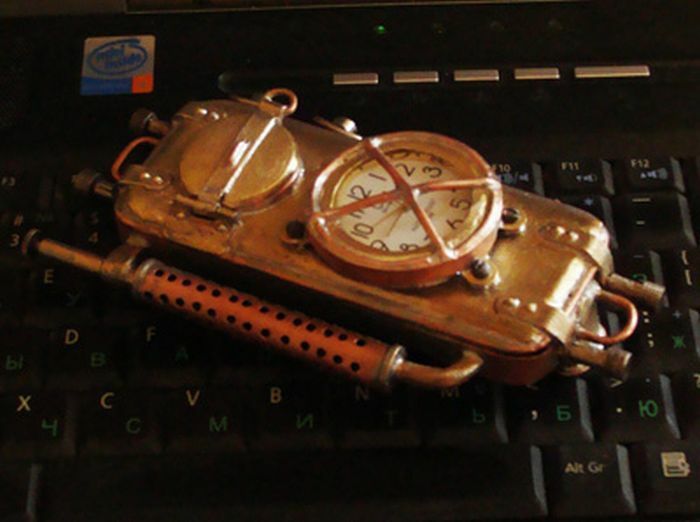 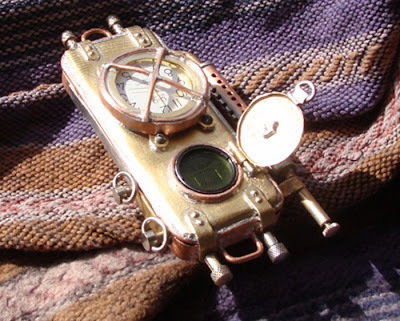 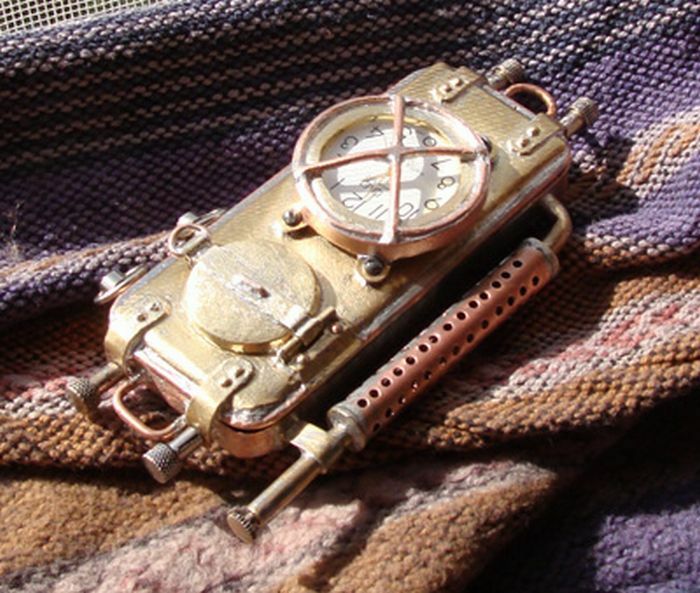 This steampunk cell phone concept has no display. 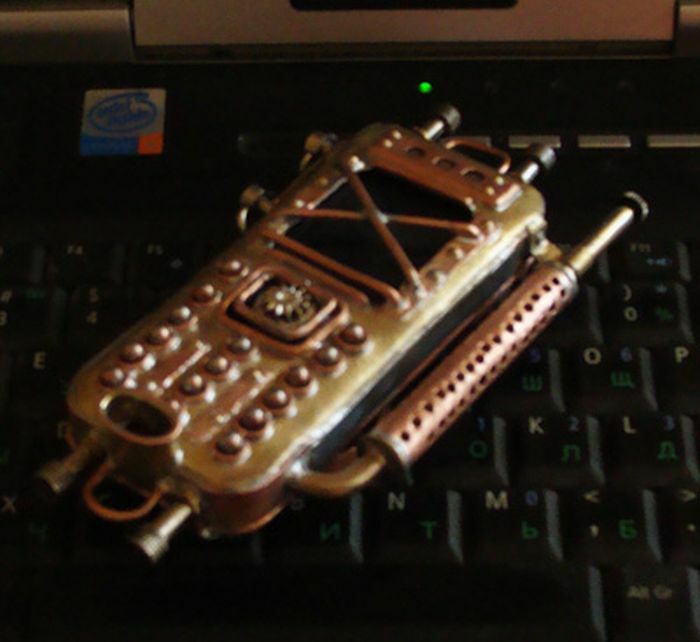 No 3G. 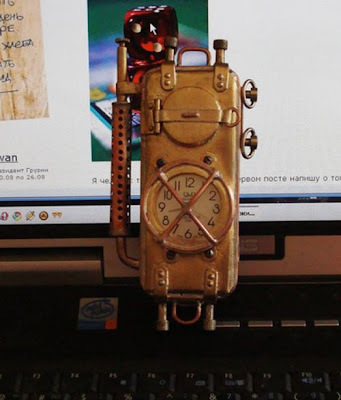 No data plan. No games. It doesn't even have a dial pad. 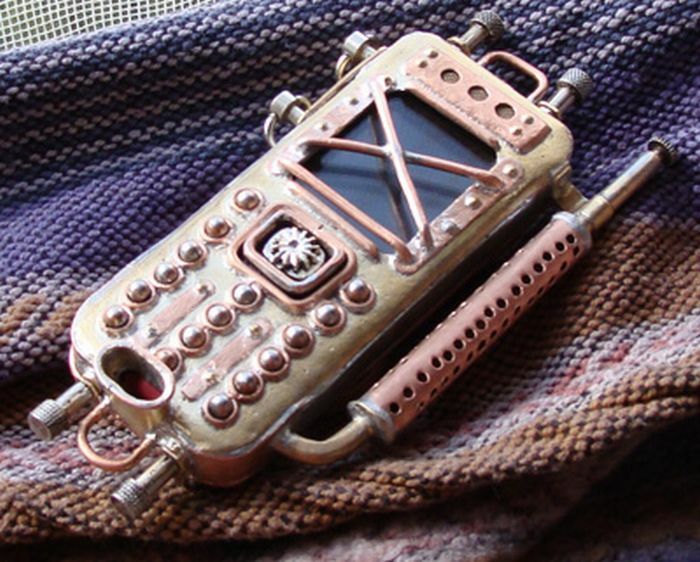 You make your calls with binary-coded punch cards, steampunk.